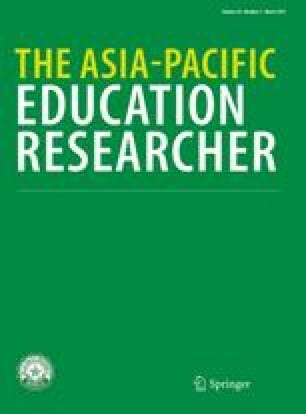 This paper presents perceptions of China’s Confucius Institute project held by different stakeholders in China and the USA. A number of studies have been published in each place since the first establishment of Confucius Institutes in 2004, but there has not been a comparative study to date. The study, which draws on media reports related to significant milestones in the development of Confucius Institutes, shows that, in the USA, the institutes are viewed with a considerable degree of ambivalence. They are attractive for universities seeking engagement with China, but also seen as a threat to academic freedom. Domestically, Confucius Institutes are perceived as a way to soften China’s international image and to promote the Chinese language and culture, although some concerns have been raised about the cost and transparency of the initiative. The paper highlights the controversial aspects of the institutes and outlines some of the challenges facing China in making the strategy effective. BBC (2012). China morning round-up: Row over Confucius Institutes. Retrieved November 21, 2012 from http://www.bbc.co.uk/news/world-asia-china-18202131. Bloomberg (2011). China says no talking Tibet as Confucius funds U.S. universities. Retrieved June 8, 2012 from http://www.bloomberg.com/news/2011-11-01/china-says-no-talking-tibet-as-confucius-funds-u-s-universities.html. Cai, S. (2012). Who is paying for the bill for China’s Confucius Institutes’ generosity? Retrieved June 8, 2012 from http://www.cenews.eu/?p=35640. China Daily (2006). NPC deputy calls for promoting Chinese. Retrieved March 10, 2006 from http://www.chinadaily.com.cn/english/doc/2006-03/10/content_530648.htm. China Daily (2012). US targets Confucius Institutes over visas. Retrieved May 25, 2012 from http://www.chinadaily.com.cn/china/2012-05/25/content_15382529.htm. College Board (2011). Tens of thousands of US students learn Chinese language and culture through the College Board’s Chinese Guest Teacher Program. Retrieved July 30, 2013 from http://press.collegeboard.org/releases/2011/tens-thousands-us-students-learn-chinese-language-and-culture-through-college-boards-chines. Columbia Spector (2011). China-funded institute tests Columbia’s commitment to academic integrity. Retrieved November 28, 2012 from http://www.columbiaspectator.com/2011/11/11/china-funded-institute-tests-columbias-commitment-academic-integrity. Epochtimes (2010). Confucius Institute went online: The most expensive website. Retrieved May 1, 2013 from http://www.epochtimes.com/b5/10/2/14/n2819343.htm. Epochtimes (2012). Thank American government for revealing the true face of China’s Confucius Institutes. Retrieved May 26, 2012 from http://www.epochtimes.com/gb/12/5/26/n3597569.htm. Hanban (2012). About Confucius Institute. Retrieved November 22, 2012 from http://english.hanban.org/node_10971.htm. People’s Daily (2012). Cultural exchange: A story from China. Retrieved November 21, 2012 from http://world.people.com.cn/GB/17265470.html. Southern Metropolis Weekly (2012). 孔子学院的乌龙 [Confucius Institute scores an own goal]. Retrieved June 1, 2012 from http://www.nbweekly.com/column/chenjibing/201206/30101.aspx. The Chronicle of Higher Education (2012). Flap over visas could harm U.S.-China exchanges, Chinese official warns. Retrieved May 23, 2012 from http://chronicle.com/article/Flap-Over-Visas-Could-Harm/131962/. The Chronicle of Higher Education (2012). State Department denies targeting Confucius Institute but holds to decisions on visas. Retrieved May 24, 2012 from http://chronicle.com/article/State-Department-Denies/131955/. The Economist (2009). A message from Confucius: New ways of projecting soft power. Retrieved July 30, 2013 from http://www.economist.com/node/14678507. The Economist (2010). Chinese purism: Saving Chinese from English. Retrieved May 25, 2013 from http://www.economist.com/blogs/johnson/2010/12/chinese_purism. The Guardian (2012). Chinese ambassador attacks “cold war” fears over Confucius Institutes. Retrieved November 21, 2012 from http://www.guardian.co.uk/world/2012/jun/15/confucius-institutes-universities-chinese-ambassador. The New York Times (2006). “China threat”, or a “peaceful rise of China”? Retrieved March 24, 2006 from http://www.nytimes.com/ref/college/coll-china-politics-007.html. The New York Times (2012). Critics worry about influence of Chinese Institutes on U.S. campuses. Retrieved March 4, 2012 from http://www.nytimes.com/2012/03/05/us/critics-worry-about-influence-of-chinese-institutes-on-us-campuses.html?pagewanted=all&_r=0. Time (2006). Get ahead, learn Mandarin. Retrieved June 26, 2006 from http://content.time.com/time/world/article/0,8599,2047305,00.html. Wang, J. (2010). Beware of English invasion. Retrieved July 30, 2013 from http://www.chinadaily.com.cn/china/2010npc/2010-03/10/content_9564151.htm. Xinhua Net (2007). Hu Jintao calls for enhancing “soft power” of Chinese culture. Retrieved July 30, 2013 from http://news.xinhuanet.com/english/2007-10/15/content_6883748.htm.